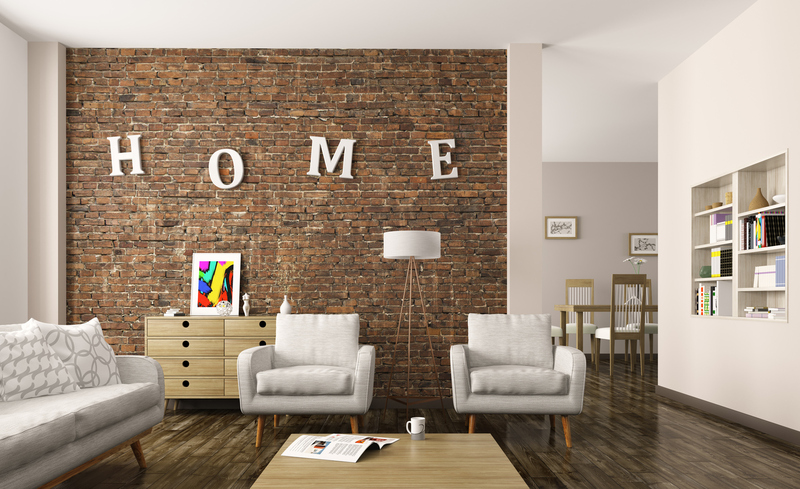 There’s a reason why the living room named so – it’s where so much of everyday life happens, after all. It’s the place where we come to slow down, the room where we welcome family and friends. From entertaining and reading, to sitting back and watching our favorite TV show, a great styled living room is essential for helping a house feel like a home. We’ve gathered the following styling rules for one of the most important rooms in the house. It used to be that the hearth and center of the home – the spot that everyone gathered around at the end of a long day – before the idiot box took a hold. But the days of TV dominance may be slowly drawing to a close – according to The Block judges anyways, who have on many occasions advised contestants not to make the TV the main focus in a living room. All too often the placement of the television comes first, and then all the seating gets arranged in an awkward semicircle around it. Which is fine for, well, TV watching, but not as fine for enjoying your space and each other. Instead, arrange your living room for people placement, and let the TV play a supporting role. Your sofa is one of the most important pieces of furniture in your home and so perfecting the styling of your couch can hold the key to achieving a polished, trendy look within your lounge. The best way to achieve this is through the use of cushions: play around with colors, prints, patterns and combine different shapes, sizes and textures – all the while keeping in mind the importance of comfort. The coffee table is another central piece in any living zone, so it’s a great idea to style it in an eye-catching way. Think big books, magazines, candles, perhaps a decorative find from your travels to add a personal touch. Consider adding fresh flowers to provide height and color. But don’t forget to leave some space for real life by leaving half the space clean and functional. Or better yet, place your decorative elements on a tray or a flat bowl so you can lift them off whenever you need to clear the decks. Don’t forget about the side table. It shouldn’t just be a space used for piling cups and remotes. Much like the coffee table above, this space can be occupied with decorative trimmings like books, magazines, candles, or even a gorgeous table lamp. It’s also the perfect spot to place all those things you like to keep close by, like that novel you’re half way through, cards from friends or a special framed photograph. How many people can you host at once? Three? Ten? 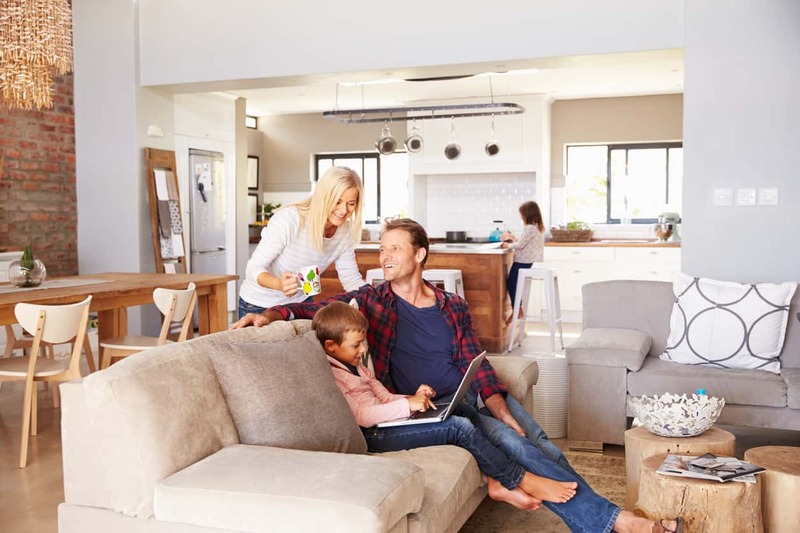 The reality is, the “right” number of living room seats is different for everyone, and largely dependent on the amount of space you have available. In addition to the sofa itself, having extra seating in the living room not only gives you a chance to express your style, but creates a welcoming feel for visiting guests. 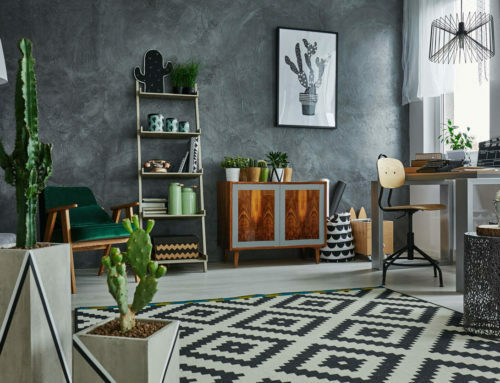 Introduce a stylish side seat, an armchair, or even a pouf – all of these are great alternatives rather than dragging out folding chairs whenever visitors come rolling around. If you haven’t already invested in a rug for your living room, then this should go straight on top of your list. Why? Because a rug really ties a room together: instead of your furniture appearing like floating pieces, it combines them into a cozy nook. A rug is also a great way to add color and tex­ture to help define an otherwise neutral or cold space. A rug on floorboards can provide warmth in winter, while a rug on a carpet will help create an interesting and stylish layer and break up the base texture and color dominating the room. From sitting back and watching TV to relaxing and reading a book, lighting can really make all the difference within a living room. We tend to use this space for many different purposes and so require more options than the harsh brightness our generic ceiling lighting has to offer. Illuminate the possibilities with a floor lamp by allowing your space to adapt to whatever activity you fancy – with the flip of a switch. Now we’re getting down to the fun stuff. Art can really serve as the cherry on top in the living room. It’s the chance to take your most treasured photos offline and display them in real life for a change. It’s the opportunity to showcase your interest and hobbies. It’s about finding artwork or prints that complement the room or your personality, or both. Colour doesn’t have to come into your home all at once. The trick is to balance bright colors with strong neutrals for a look that’s vibrant but liveable. 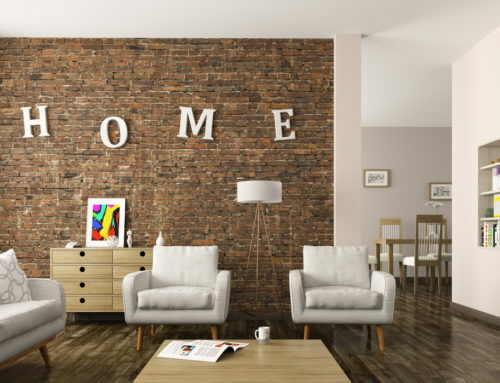 There are many ways to incorporate a lot of color into your living room but still limit the main bones of the space to a classic, contemporary look. Add small doses such as cushions, throws or decorative pieces – or you can be brave and introducing one bold piece of colorful furniture such as the sofa, an arm chair or side table. Live plants provide a calming ambiance and a fresh feeling to any living room space. 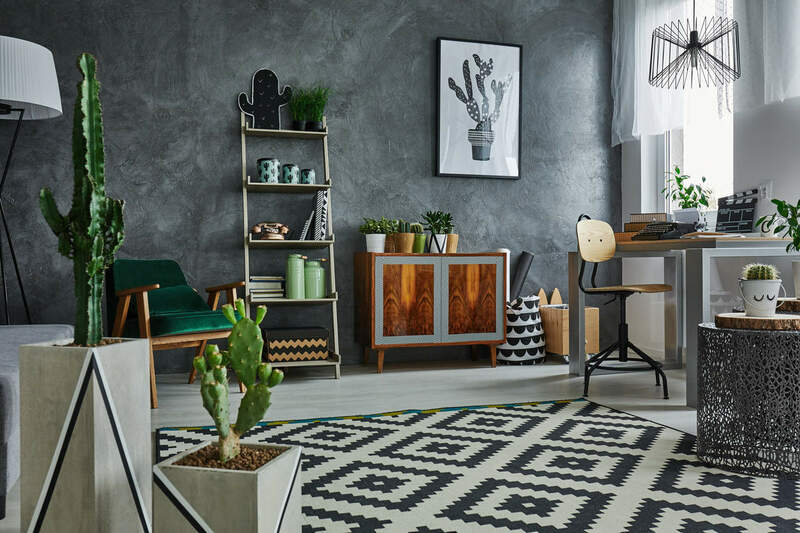 Not only favored for their natural beauty, indoor plants are also known to help us relax, focus, and lead increased productive and creative lives. The fiddle leaf fig tree is the on-trend plant of the moment – available in a range of sizes it’s a good choice no matter the size of your living room.